My jacket wasn't ironed that day but who the hell cares nowadays. They are perfect as is. My focus right now are my shoes... I can't stop wearing these ankle boots ! it's my power shoes 'spite the lack of platforms and height. It's hard to convince the world that you're normal and happy 'spite of being highly engrossed with all black layered clothes. awesome ! i wish i'd had this jacket too !!! Your hair color looks great! I like it. 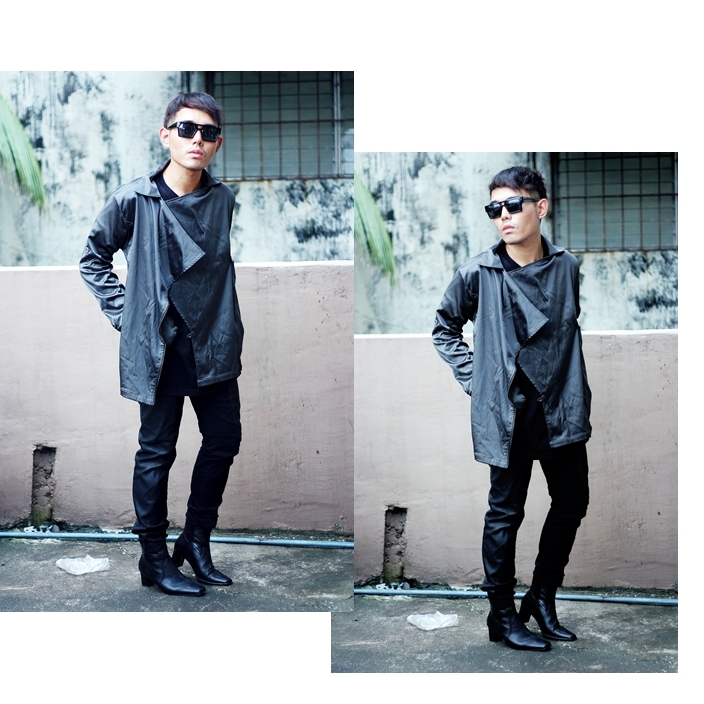 This all black ensemble is ultra cool.